I’m getting pumped about the UK’s second annual flash fiction festival, and it’s only March. Last year was inspiring, and I’m sure this year will serve up more of the same. This year is particularly exciting for me. 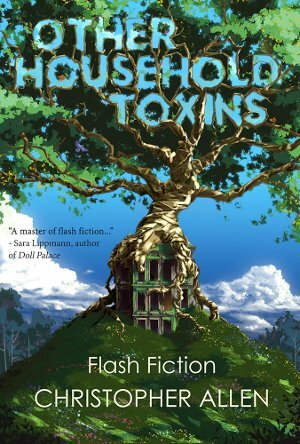 I’ve just published a collection of flash: Other Household Toxins (Matter Press), an eclectic grouping of 48 stories from the last 10 years that I hope shows the breadth of what’s possible with flash. I’ll be reading from the collection and also signing books at the flash fiction festival in July. I’ll also be leading the workshop “Do You Have Something to Say?” because I think this is one of the most important topics we can discuss these days as writers of flash. In my opinion, our best stories reveal something about our nature and purpose while challenging us to see these often tragic subjects from fresh angles. I’ve made a commitment to myself starting in 2018 to write only stories that rip me apart—even if this means I write only a few. At the workshop in July, we’ll be talking about how difficult it is to write stories like this and how to avoid their pitfalls. In another session at the flash fiction festival, I’ll also be talking about how SmokeLong Quarterly works. We read around 5000 stories a year, hoping of course to find something innovative, razor-sharp, and layered every time we open a file. Beyond this, I’ll explain our process in depth (or at least as detailed as the time allows). I’ll talk about the most common reasons we reject submissions, explain how our guest reader format works, and also take your questions. 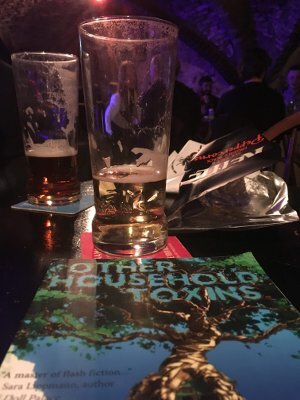 Though I’ve been involved – as an editor, writer, and translator – with flash fiction for a decade now, almost all of my interaction with fellow writers and editors is online. It’s rare that I have the opportunity to attend a workshop or share a glass of wine – or three? – with people who love flash fiction. I’m looking forward to meeting all of you. I started writing flash when I was 10 but of course had no idea what I was doing and no idea, luckily, that everything I was writing was horrible. 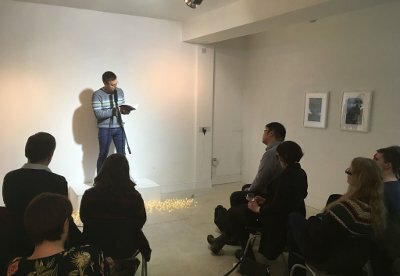 At university a professor called my academic essays “little pieces of art” and was the first person to tell me I should be writing short stories. I did in fact write one back then, subsequently published in the university journal, Collage in 1993. It was called ‘Air-conditioned Souls’. I was devastated when I read it: a paragraph was missing. To make up for the mistake, the editors reran the story in the university newspaper. My first editing job was in junior high school. I was the managing editor of the school newspaper, which meant I used a lot of stick-on letters for headlines and sniffed a lot of glue. Fast forward a few decades and I was suddenly the managing editor of the daily litzine Metazen. No more stick-on letters, no more glue, but tons more stories. At Metazen, we published something every day for five years until I left in 2014. Later in 2014, Tara Laskowski asked me to be the managing editor at SmokeLong. Do you see the trend? I love the lively discussions about flash fiction we have at SmokeLong. At the moment we have 16 editors and readers on staff, guest readers almost every week, countless artists, and interviewers. It takes an army to publish these little works of art each week. The journal is celebrating its fifteen anniversary this year. Until May 20, the SmokeLong editors are reading entries for the SmokeLong Quarterly Award for Flash Fiction. One grand prize winner will receive $1500, and at least 14 finalists will receive a monetary prize. All finalists will be published in our 15th-anniversary issue in June. Later this year I’ll also be judging the Micro Madness competition at Flash Frontier, so watch for that. I hope to see you all at the flash fiction festival in July!